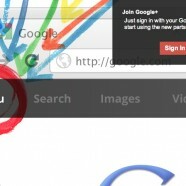 Google + is here and creating quite a buzz amongst the early testers. I managed to get myself an early invite and have been putting it through its paces and have to say i’m impressed. But then I love google and have grown apart from facebook over the past couple months so I invite the change. My first impressions and this is the way I explained it to family and friend is: “It’s like turning up to a party early your the only one there, you know its gonna be a great party though they have an awesome DJ, loads of people you haven’t seen for ages are coming the beer is free and there is loads of it but until everyone else turns up and there’s a bit of an atmosphere its going to be boring. Anyway if anyone wants an invite to google plus or google+ let me know. Circles- Great for grouping your friends and sharing certain things with certain people. Twitter like following: You dont have to be a friend with someone to view their feeds if they publish to everyone. I think the feed needs some design work but I love this idea. Photos: When I had a PC before my mac i had picasso and loved it I think i could be going back to it. Videos: Excited to see what youtube integration their is.